It takes time initially to get attention from the search engines. We look for opportunities to optimize content on your website. 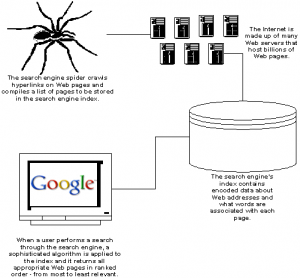 Enhancements make it appealing to search engine spiders that crawl the web at night. These are things we do to improve your web pages’ rank in search results. Integration with your blogging and newsletter platform (Mailchimp, Constant Contact, etc.). Feeding your website with links and content from Social Media posts (Facebook, Google+, Twitter, Yelp!). Scheduled content posting to provide a continuous stream of updates for the spiders. 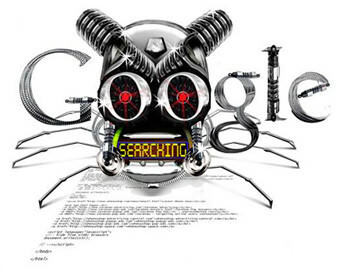 Now that we have some traction with the search engines…. Let’s keep it going! We continue to optimize and add new content to your website. Optimization is what makes your search results become more popular and prominent with people who search. Using your established Social Media platforms to invite people to “Learn more….” by luring them back to your site. Updating your blogging and newsletter platforms with content and so your visitors will have the latest news. Continue to create and feed content back to your site from Social Media posts (Facebook, Google+, Twitter, Yelp!). Double checking on our scheduled content updates to make sure the search engines are always getting something new. You are happy with your place in search results, but we still say…. Let’s keep it going! Now that your web pages rank well in search results, we build on that momentum. All our work has paid off, and we continue to feed the spiders. Using Social Media platforms to keep people coming back to your site. Continue using your blogging and newsletter platforms to keep your people up to date with what’s new with you. Of course, we will keep up with Social Media posts (Facebook, Google+, Twitter, Yelp!). We know our schedule is working well, but there’s no downside to constant vigilance. Basic Website Development Starts at $1000 for a basic three page site. Pay first half of basic web development package fee. Bigger Website Development Starts at $1500 for a five page site. Make first payment on a bigger web development package fee. Best Website Development Starts at $3500 for a seven page site. Additional pages and features will be priced according to project scope with a full and detailed proposal. Make initial payment on web development project. Subject to change in accordance with consulting agreement.